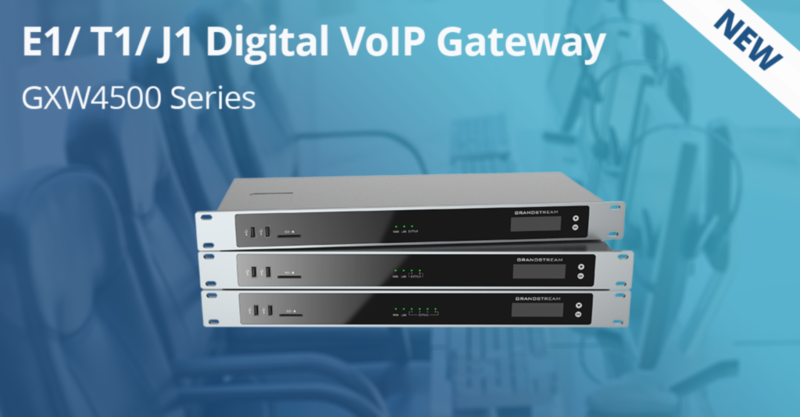 If your customers are looking for a Digital VoIP Gateway that will allow digital PSTN and ISDN trunks to be integrated with VoIP networks, look no further than the new Grandstream GXW4500 Series Gateways. 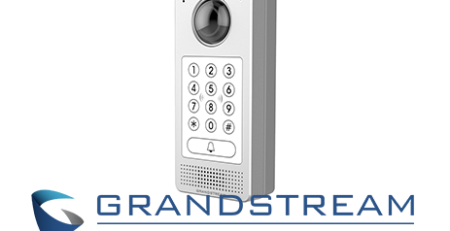 With three models that provide 1, 2, or 4 T1/E1/J1 spans and support of up to 120 concurrent calls, the new Grandstream gateway series will be fit all your partners’ needs. This new series is ideal for large and medium sized enterprises, allowing for secure encryption to protect calls and accounts. When connecting a GXW4500 series gateway with a VoIP network and a traditional PBX or E1/T1 provider, any business can dramatically increase the amount of PSTN/ISDN trunks integrated with their network. There are an array of deployment scenarios suitable for the GXW4500 Series Gateways, which include education, hotels & hospitality, medium to large enterprise applications, and call centers. Most businesses want to take advantage of their already existing internal VoIP network. For medium to large enterprises, a GXW4500 can be added to any original telephone system in any office. The cost will be low and deployment quick. The traditional PBX can continue to be used, though, which extends the investment efficiency of the equipment. Call centers rely on what? The ability to make and receive calls. Their business is entirely dependent on their phone system. In a call center scenario, a center uses the GXW4500 series to integrate additional E1/T1 lines into their network. The call center can the utilize the fail-over option in the case of any Internet outage. Additionally, the GXW4500 series can support up to 120 concurrent calls – allowing the call center to handle the volume of calls it would normally receive. Hotels, made up of multiple floors and possibly buildings, can benefit from a GXW4500 that will create a seamless hybrid VoIP and Analog solution. A hotel could use the GXW4500 to support both VoIP and Analog technology, while creating a hot-line option for any emergency phone calls.